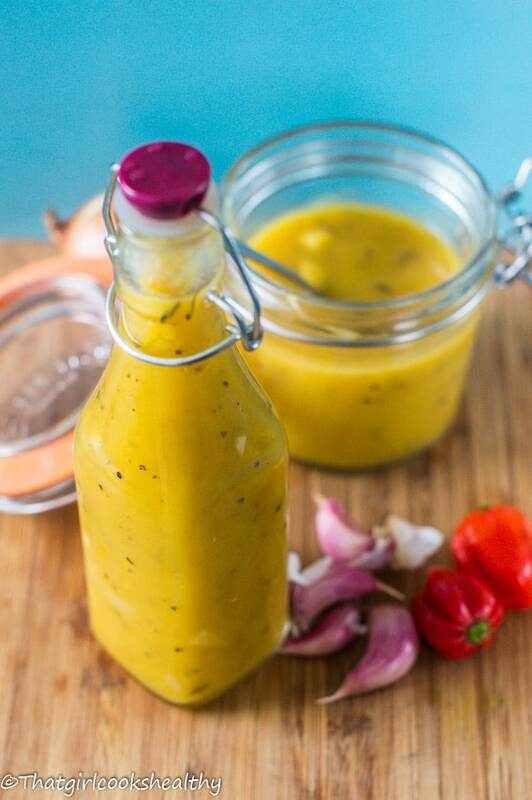 Mango pineapple sauce – this fruit infused sauce is brimming with true sweet tropical flavour, so good you will be it’s highly addicted. Hello my lovely readers, I hope 2017 is treating you well thus far. I’m so excited to share my first recipe for the year with you. I know the start of the year is a time where people make many of there New Years resolutions. When it comes to diet and nutrition, this is the time where people either sign up to their local gym, mine is inundated with scores of newbies or they make a pledge to themselves to become “healthier” – in the form of loosing weight or just being mindful of what they consume. All of what I have mentioned is brilliant, making positive changes in your life is never a bad thing. The problem surrounds these resolutions is that most people simply aren’t dedicated to transitioning to a lifestyle change which is essentially what’s required in order for the above to successfully work. 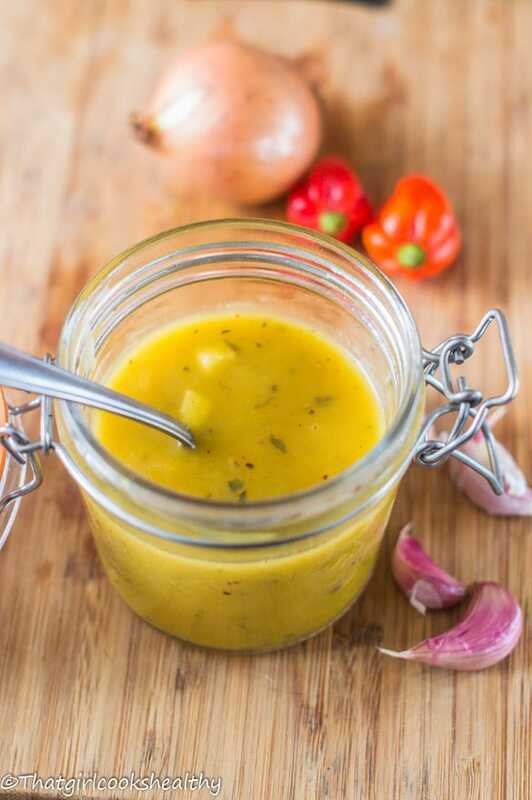 You’re probably wondering what all of the above has to do with this mango pineapple sauce recipe? Good question! Well as you know us health enthusiastic foodies enjoy cooking, it’s what we do! Also the vast majority of us like to make our recipes from scratch, even the minor things like a sauce from a bottle. If we can make it, why buy it? Plus it’s a lot healthier than the manufactured stuff with endless additives and preservatives. 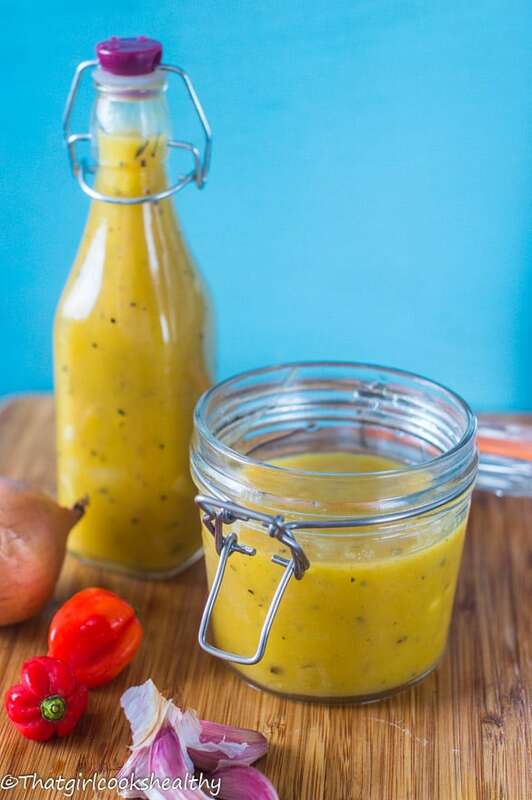 This mango pineapple sauce is SUPER easy to make and one of my favourites and it will hopefully be your’s too. I used a combination of fresh (mango) and frozen (pineapples) because that is what I had to hand at the time. You can however use fresh or frozen, it really doesn’t matter nor make a difference to the end result. If you’re using fresh fruit you’ll need to peel/core the mango and pineapple. The fruity mixture will need to be pureed into a smooth consistency using a food processor or a high powered blender like a vitamix. I personally prefer the blender rather the the food processor as you want the puree to be lump free. Some of the remaining ingredients will be sauteed, while the rest is added during the cooking process. I added a hint of sweetener to enhance the flavour of the tropical fruit. In some cases, the fruit may not to sweet enough and this where the advantage of adding some sweetener comes into play. It’s gluten free, paleo friendly and suitable for vegans!! Proceed to puree mango, pineapple, scotch bonnet and cloves in a high powder blender (or food processor) into a very smooth lump free consistency. 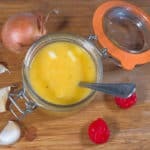 Run the puree through a sieve to ensure no lumps of fruit are present and set aside. On low-medium heat melt the dairy free butter in a medium sized saucepan and then begin to sautee the minced garlic and onion. You want them to be translucent not golden. Stir into the tapioca starch, fruit puree, coriander and ginger. Continue to occasionally stir for another 10 minutes by then the sauce will have thicken. Allow to cool before serving and storing in a sauce bottle. I love the Scotch Bonnet in this recipe — a little heat just kicks it up, you know! I totally agree with you, if we can make it why buy it. Always tastes so much better and is always far healthier for you. Such a summery and delicious sounding sauce. It’s all about making it from scratch, don’t you think? 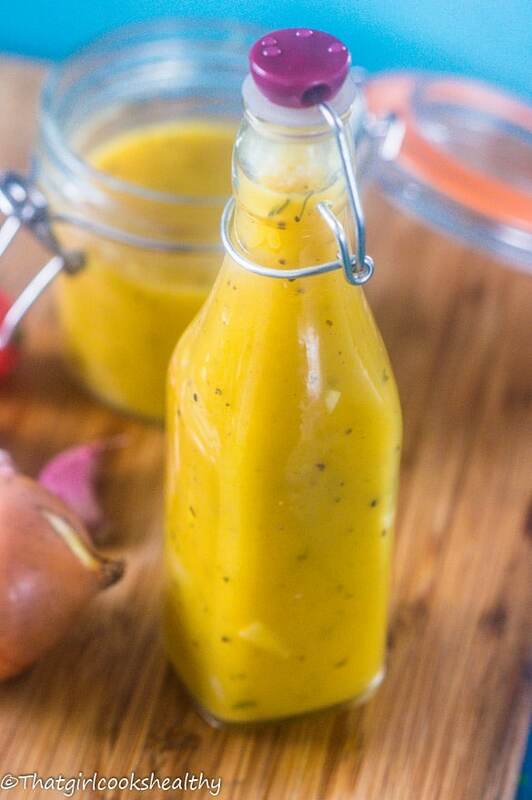 Mangoes are my favorite fruit (though pineapple is a close second)….so this sauce sounds delicious! Especially with all those added spices – yum! Thanks Lisa, you would love it. This reminds me of a sauce I see at HEB here in Texas. They take it and cover whipped cream cheese then serve it with Wheat Thins. Sounds crazy simple but it’s crazy delicious! I bet this sauce would make a great homemade version. Wow! That sounds so tasty. 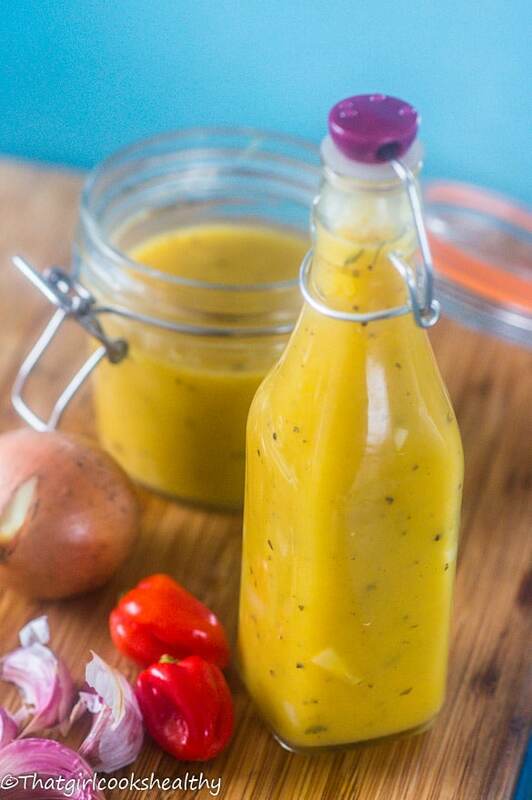 This Mango Pineapple sauce looks delicious and would give any dish a fun tropical twist! I love that it is gluten free! this is so yummy!!!! Made this fantastic sauce to go with the coconut chicken nuggets. It was so tasty, we almost ate half of the sauce with the nuggets. Incredible flavors, spice is just right 💗 I can not thank you enough for your recipes!!! Thanks Usnea. I LOVE the sauce I have it with almost any my chicken dishes now but the coconut nuggets will always be the winner.